Conditionals are sentences with two clauses, an “if” clause and a main clause, that are closely related. Zero Conditional: If you eat a lot, you put on weight. First conditional: I’ll go shopping on the way home if I have time. Second Conditional: If I had more time, I’d exercise more. Third Conditional: If we had left earlier, we would have arrived on time. 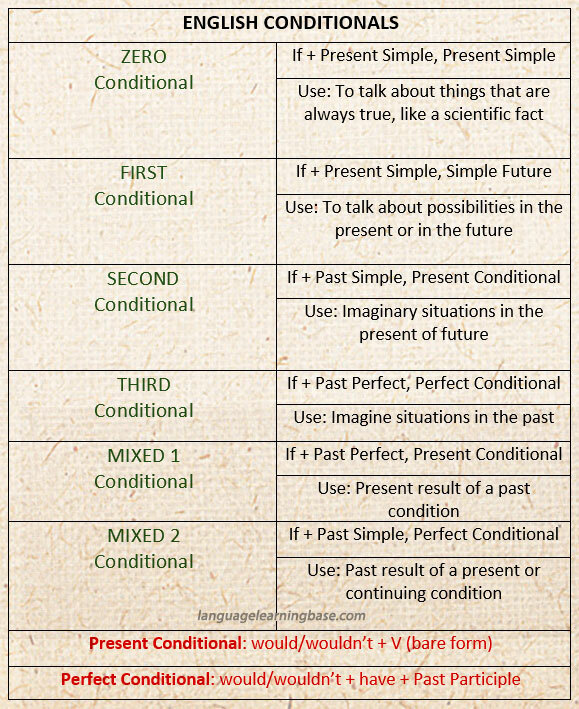 Mixed Conditionals: If you’d studied harder, you’d be at a higher level now.